Our many food label and beverage label clients rely on Print-O-Tape because of our label quality, on-time delivery record and our ability to keep abreast of the frequent regulatory changes associated with food labeling. 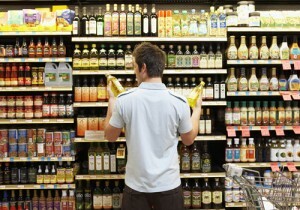 Where applicable, all materials used for our label products satisfy FDA requirements in a variety of applications. Many of our larger food and beverage clients take advantage of our Vendor Managed Inventory Program. This program allows for cost-effective label manufacturing and can provide 24 hour delivery of labels to our clients. 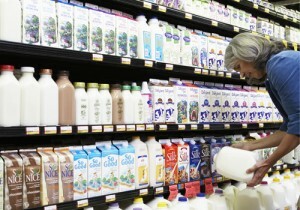 Print-O-Tape is a leading supplier to the demanding dairy labeling market. Our low cost, highly efficient manufacturing processes are well known within the dairy industry. Our proprietary B63WF40 milk jug label material/construction is recognized as simply the most reliable and durable label in the marketplace. Our unmatched on-time delivery record and ability to facilitate timely label design changes keeps Print-O-Tape firmly in the top tier of dairy label suppliers. © 2019 Print-O-Tape. All Rights Reserved.